Huw runs our HR Leadership practice, working across our client base to provide Director and Head of Function level recruitment. 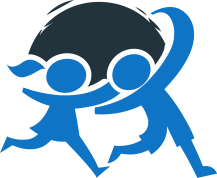 He has over ten years’ senior level recruitment experience supporting some of the UK’s best known companies. Huw is exceptionally well connected and respected for his knowledge of HR and HR leadership, and he has a deep understanding of the workings of the senior recruitment market. Huw brings a mixture of insight, intuition and tenacity – attributes that ensure he always delivers a first class recruitment service. Originally from South Wales Huw now lives with his wife and two young children just outside Bristol. Mark runs our HR Specialisms practice, hiring predominantly at Manager and Senior Manager level across a range of niche HR disciplines. 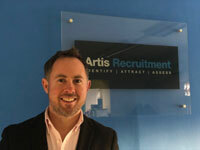 He is an established senior recruitment specialist with over 10 years experience. 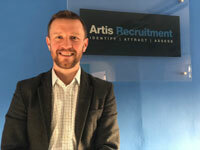 Mark’s approach to recruitment consultancy is to listen carefully and work closely with both client and candidate to fully understand their business needs and career aspirations respectively, and to form lasting, long-term and trusted partnerships. This insight and his strong network ensure Mark is able to deliver true consultancy and to add real value for both candidate and client. Originally from Cumbria, Mark lives in Bristol with his wife and three young children. 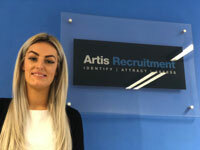 Sophie has over 5 years’ recruitment experience and manages our HR Operations practice, placing HR Managers, Business Partners and mid level operational roles across all HR disciplines. Sophie’s knowledge of the South West market is fantastic, and her network of HR professionals from all industry sectors is substantial; this, together with her energy and passion for what she does, makes her the go-to person for HR recruitment in the region. Sophie lives in Bristol with her young family.